Your Destination for Boat Rentals! Ventura Boat Rentals is your one-stop shop for boat rentals. 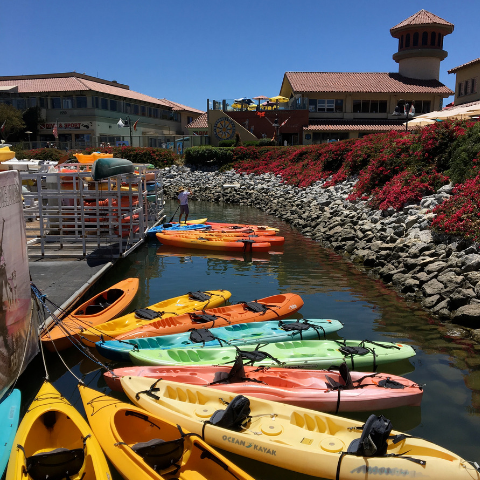 From kayaks and SUP boards to pedal or power boats, we’ve got every vessel you can possibly think of! We now offer Jet Ski rentals, too. Undecided? Give us a call – we’d be happy to help you find the right vessel for your party and interests. We don’t just do boat rentals – we do harbor and dinner cruises, too! During the summer months, we offer daily 40-minute Public Harbor Boat Tours. Private charters are also available for up to 49 passengers, and are available anytime, for any occasion. Private Cocktail or Dining Cruises are a great way to get out on the water, enjoy the scenery and relax with friends. We cruise the calm waters of Ventura Harbor and the Ventura Keys aboard one of our Dreamer vessels. Cruises depart from Ventura Harbor Village.